Shopping for outdoor furniture Columbus, Ohio there is only one place that can deliver what you are seeking. The Amish Furniture Originals Co. has been delivering excellence to the Ohio community for more than 20 years and still continues to deliver excellent customer service today. Customer Service — We pride ourselves on our customer service. We have been giving the community amazing service for nearly two decades and we want to give the same to you. Our staff values you and your family, and that’s why we want to give you the best outdoor furniture possible. Professionalism — All of the staff members at Amish Furniture Originals Co. are experts in the furniture field. You will not be able to find this type of professionalism anywhere else as our staff can put together an amazing outdoor arrangement for you. You’ve gone to the others to save a few dollars, now come to us and save big. Courteous — Courtesy is one thing that we provide for all of our customers. When you walk into our store you will be greeted by one of our friendly staff members, and always with a smile. Our staff will be able to answer any questions that you may have about the Columbus, Ohio furniture. Stop by and ask about your outdoor furniture today. 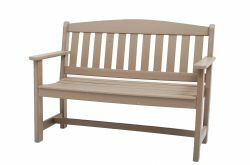 Prices — At Amish Furniture Originals Co., we have low prices on all of our quality products. All of our furniture is hand made by the Amish, and you will love the style. We carry all types of outdoor furniture. Come see us today and start building your outdoors before the summer heat hits. For a nice change of pace, come see our selection of outdoor chairs. We offer two different types of woods: treated pine and poly lumber. These woods are durable and able to stand up against the elements of the outdoors. You’ll also find gliders, tables and outdoor swings that will turn your ordinary looking patio into an extraordinary one. We stand behind each of our products as you’ll find them nothing short of amazing. Our customers return to us every spring to add something new to their outdoors. 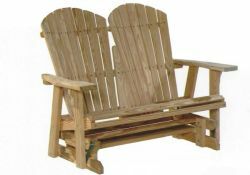 You two can have the same great looking outdoors when shopping at the Amish Furniture Originals Co.
Another piece that we have just added to our outdoor collection is the Adirondack Footrest. This footrest will coordinate with your other pieces of our furniture as it comes in either pine or poly lumber. We want you to get the best for your money, and that’s why we offer unique pieces that will make you the envy of your neighborhood. Stop by our store today as the Columbus, Ohio furniture company will greet you with a smile and expertise. There are so many reasons to shop with us. Bring the family in today and start creating your outdoor paradise. You’re going to love summer all over again.